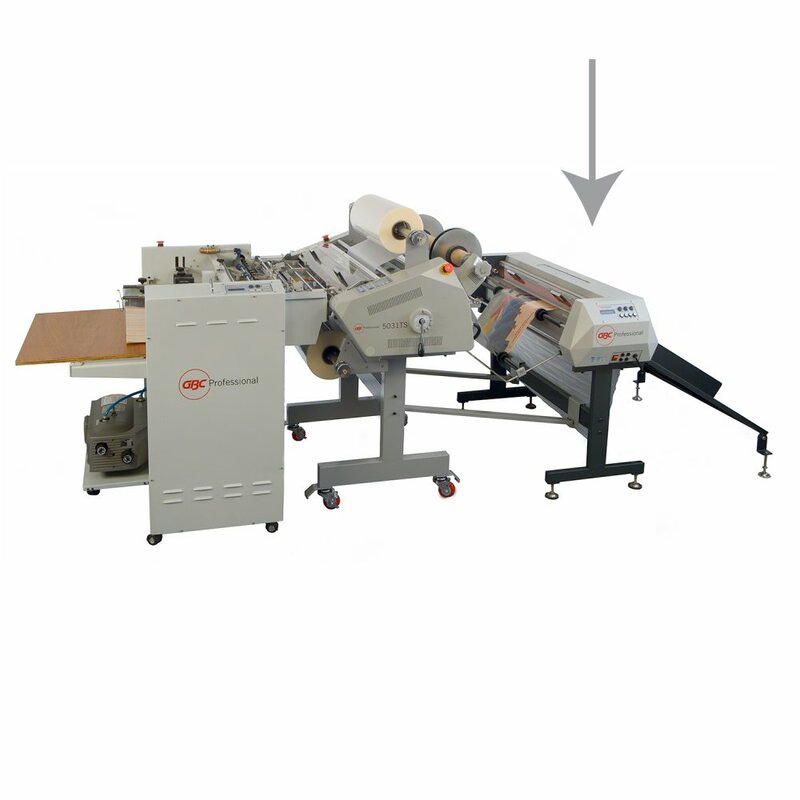 Automatic 31" cutter for use with the 5031TS laminator and other two-sided, production laminators. A tie bar connecting to the 5031TS Laminator along with the in-line guides ensure accuracy. The cutter provides easy-to-use features to increase productivity. One example is the output counter which tracks the number of cut sheets to properly manage your job requirements. Handles web widths from 4" to 31" wide. Can also be set to handle sheeting.